For Halloween weekend, CauseScience was in Washington DC. This included a fun visit to the NIH (shoutout to all my brother’s lab mates). 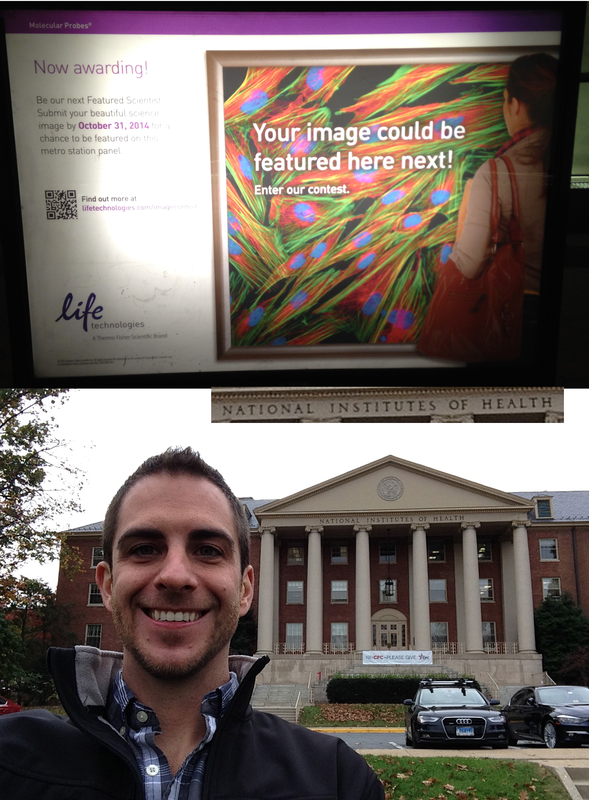 While in the DC metro, I also came upon an ad for the Life Technologies Beautiful Life Images Contest. Although images had to be submitted by last Friday, keep your eyes out for the winning science images in ad panels around the DC metro. Super cool ads that feature science!! !